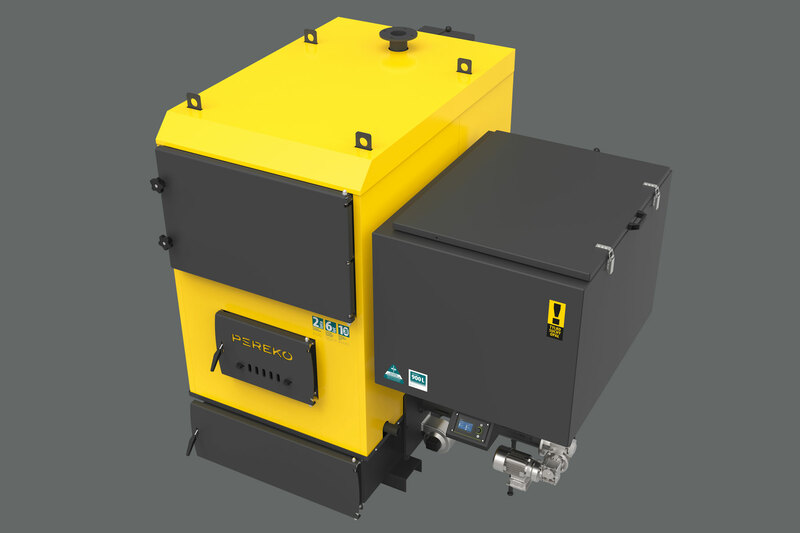 Series of the KSR Pro boilers was created for the users valuing efficient device, comfortable to work with and allowing efficient heating of the large building. All these needs are ensured by a design of large boiler where to fuel is fed automatically from the container . Wide range or power (6 versions, from 75 to 300 kW) causes that the device is ideal not only for large houses but also in locations where automatic fuel feeding is a priority. KSR Pro is able to maintain heat in the hotels, museums, hospitals, schools and other public utility buildings. KSR Pro works exceptionally economical due to the type of used fuel (cheap in operation eco-pea coal). It is automatically fed using a retort feeder. Integrated control is ensured by binary electronic system ecoMAXX 800 R2  manufactured by PLUM, which is responsible for optimum dosing of fuel and maintaining set temperature of the boiler and tap water in the container. The controller services four  pumps (central heating, domestic hot water, floor and circulation pump), the actuator of the mixing valve and temperature limiter (STB). 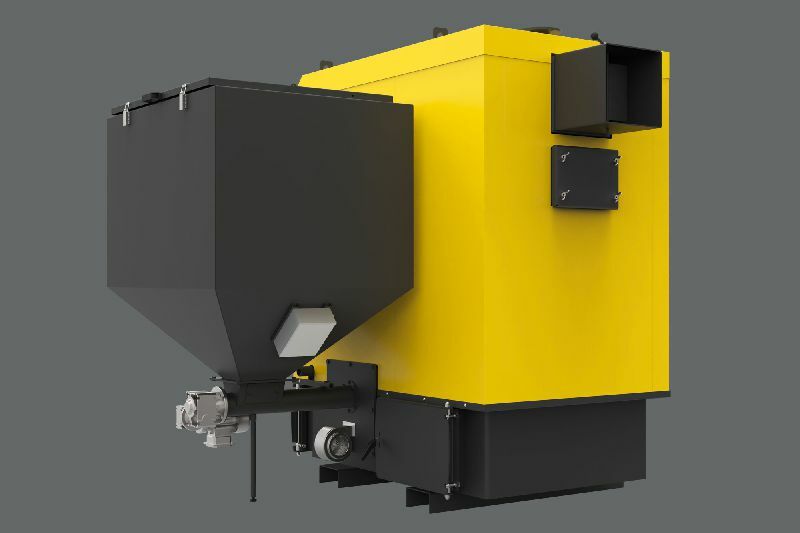 Larger charging hoppers, allowing continuous operation of the device on one fuel charge even for 5 days, were used to extend the time of maintenance-free operation. To improve functionality the boiler was used in a way ensuring connecting of the fuel container from its right or left side. 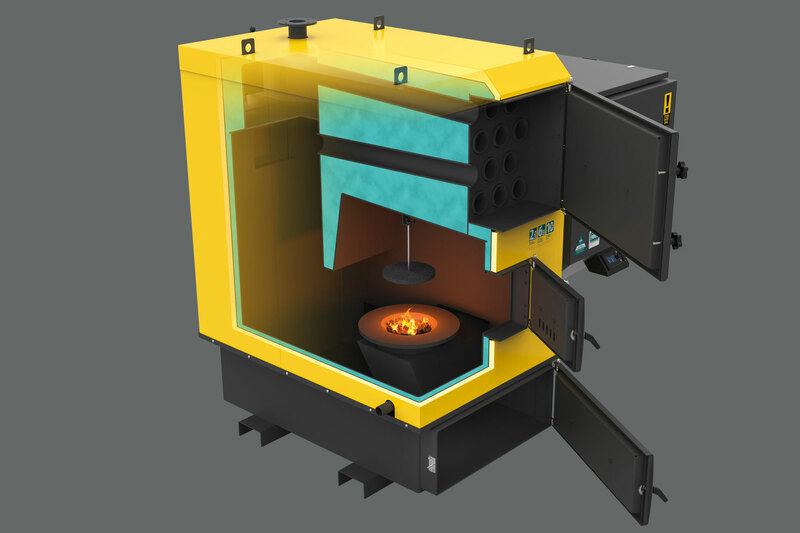 An advanced control system, equipped with numerous functions prevent overheating of the boiler and system, is able to ensure safe operation of the device, without supervision from the user. 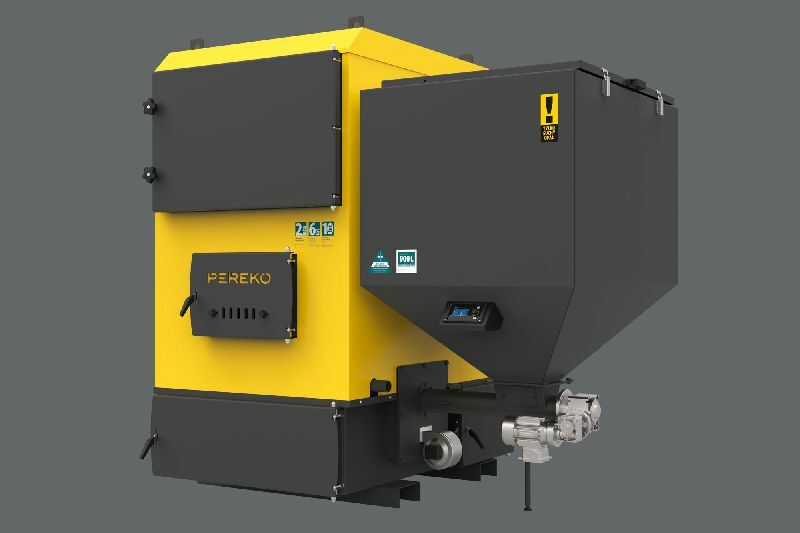 When boiler reaches 90 °C the feeder and fans are immediately switched off, while the sudden increase of temperature starts the pumps, which actively limits accumulated heat excess. Reinforced design of the heat exchanger ensures the required strength . Boiler plate of thickness even 12 mm, in case of the largest powers, was used for its production. 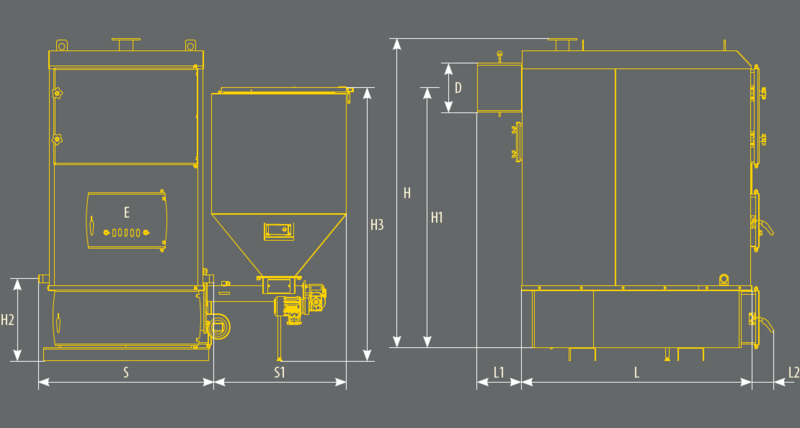 The Large capacity of charging hopper allows longer working time on one charge.